Living in California, forest fires are a real threat. Fires destroy homes and ruin lives. Families are displaced, lives are lost. And yet, something so traumatic can also bring together humanity. After the last series of California fires, there were so many beautiful examples of neighbors coming together, of strangers helping strangers, of entire communities rebuilding as one. This next couple was extraordinarily lucky. 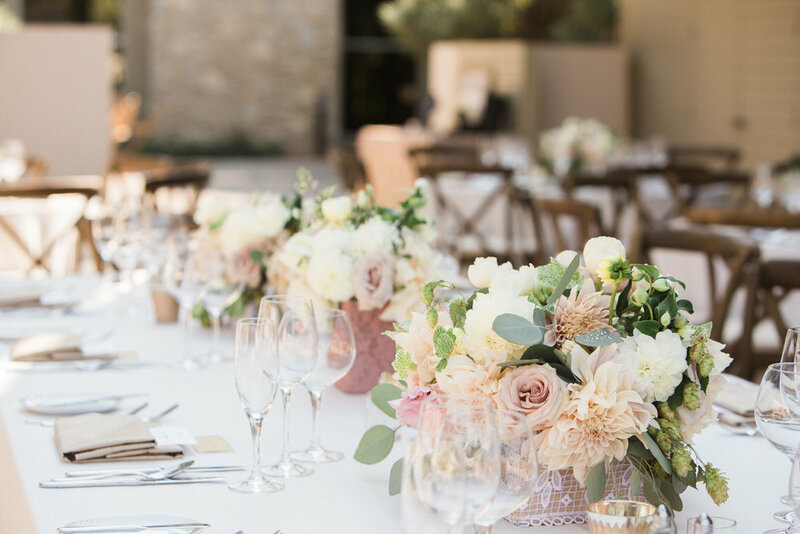 After the Big Sur fires wiped out their original wedding venue just two weeks before the big day, the couple and their wedding vendor team, lead by planner extraordinaire Jessica of And Something Blue, pulled together to make a strong come back at Carmel Valley Ranch. And take a look at these photos by Evynn LeValley - you would never know they had just overcome such a catastrophe! Danny and Lauren met through a mutual friend on the East Coast. A few years later, Danny proposed to Lauren in the romantic, seaside town of Positano, Italy. And the rest is simply history. 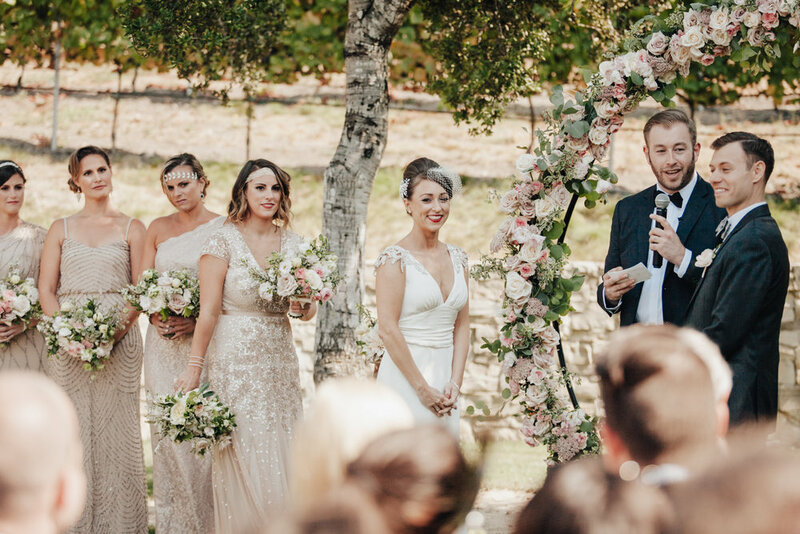 Danny and Lauren chose a glamorous 1920s theme for their wedding day, full of pretty vintage details and plenty of glitz and sparkle. 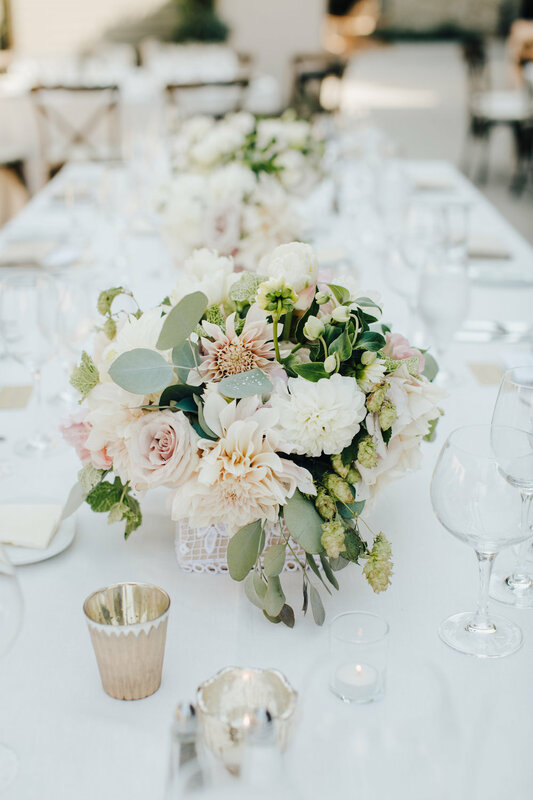 To make the theme come alive, we chose premium florals for all the bouquets and arrangements. 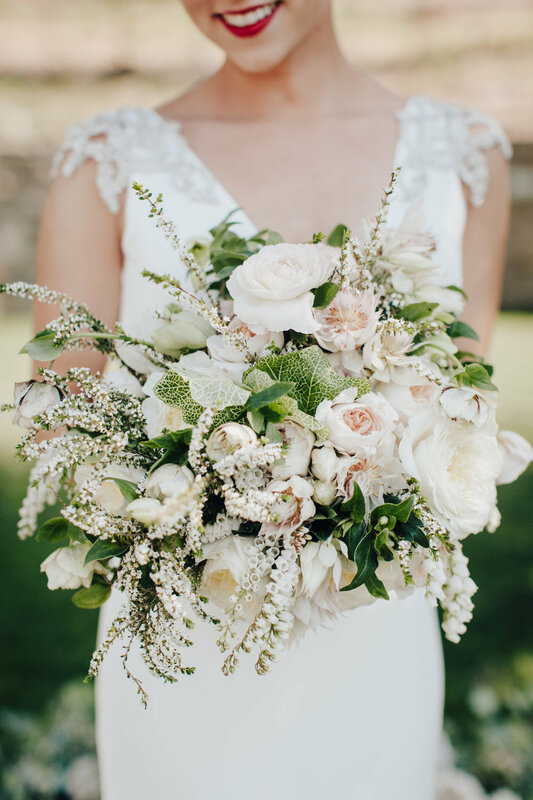 From the most delicate dahlias and peonies, to the fluffy branches of spirea and pieris, to the hundreds of extra ruffly cream and blush roses. We used mercury gold compote vases for more pizzaz, as well as lace floral box containers to mimic the appliques on the bride’s dress. 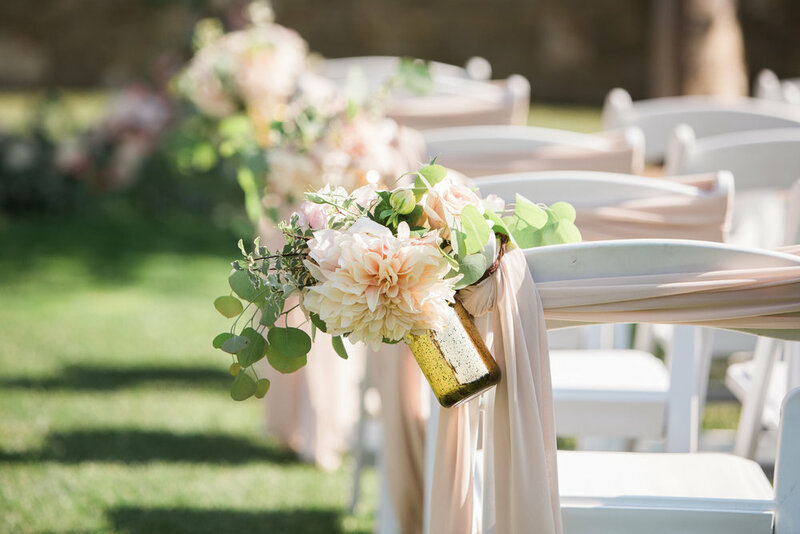 Such a dreamy, feminine wedding! 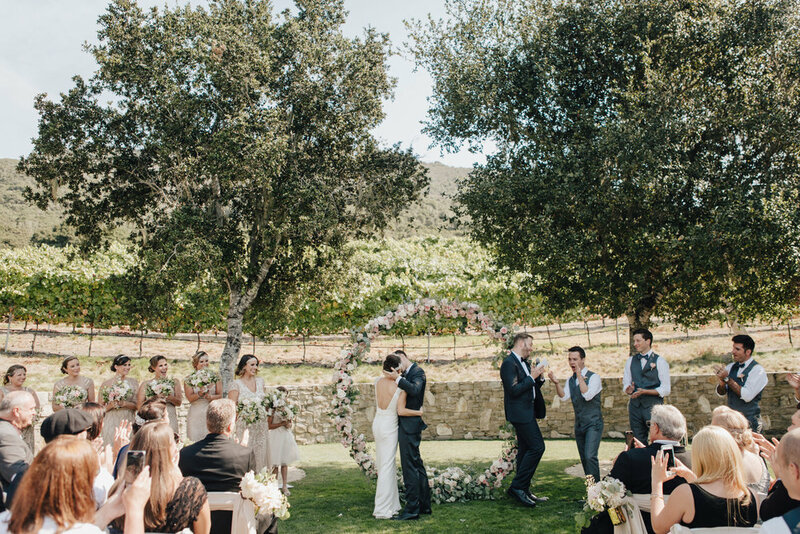 This wedding was so magical in so many ways. 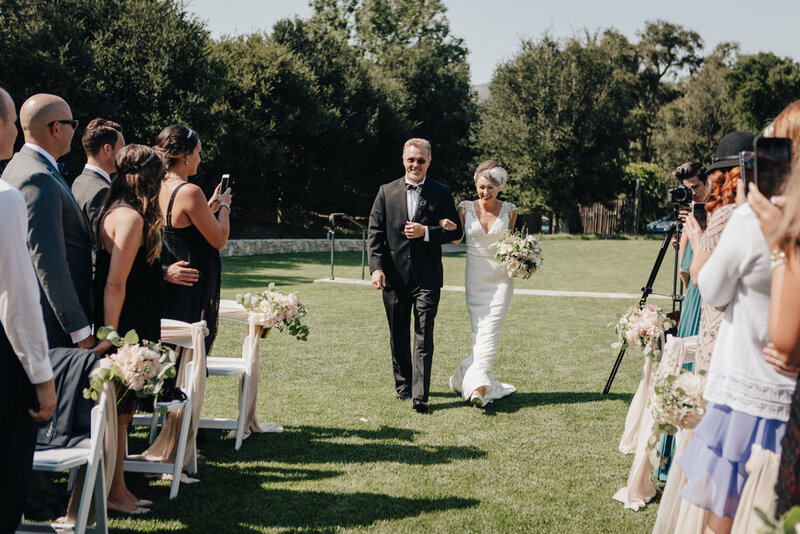 From the kindness of all the vendors, to the actual magic of being at the beautiful Carmel Valley Ranch. I think this last photo sums it beautifully. Thanks Lauren and Danny for letting us be part of your beautiful wedding day!